Woman’s Weekly Live! 2013 was a fantastic chance to catch up with you, our wonderful readers. 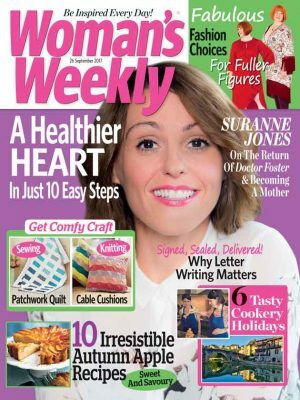 Here are some of the best bits so you can see what to expect at our next Woman’s Weekly Live! event. Virtually the entire Woman’s Weekly team descended on Event City in Manchester for our annual Live event. It was so incredibly encouraging to hear that readers travelled from all four corners of the UK to join in the fun, participate in the many different workshops and meet the team. 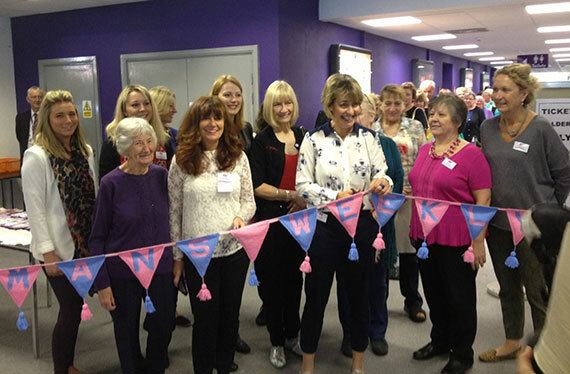 Editor, Diane Kenwood, opening Woman’s Weekly Live 2013. The workshops and demonstrations were particularly popular; covering knitting, craft, gardening, fashion shows and cookery demonstrations – all the workshops were fully booked each day and visitors enjoyed being creative with stitching, sewing, making and baking literally hundreds of marvelous creations. 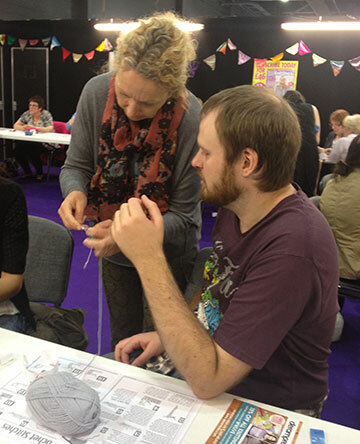 Knitting Editor, Kandy Regis, with one of the male participants in the knitting workshop. It was great to see a few more men attending and playing an active part in the workshops too! 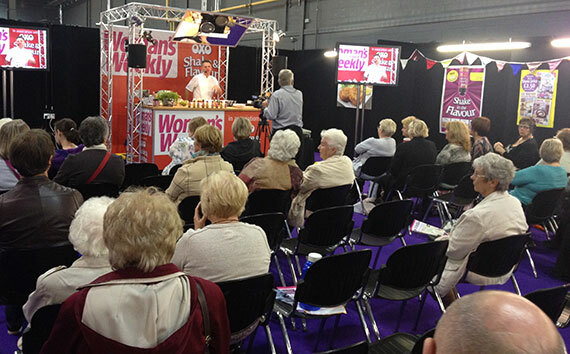 As well as things to see and make, there were also plenty of opportunities to taste some culinary delights with both chef Paul da Costa Greaves and Woman’s Weekly Food Editor, Sue McMahon, cooking up a storm in the live Cookery Theatre. Chef Paul da Costa Greaves cooking up a storm in the Cookery Theatre. 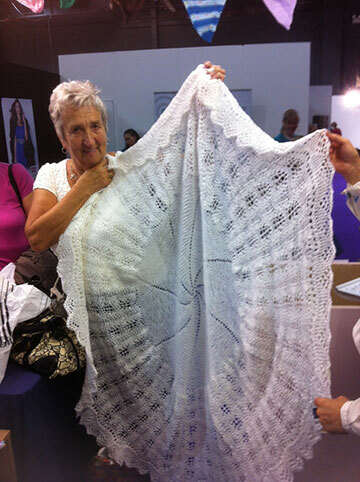 We particularly enjoyed seeing so many of the fabulous makes that many readers have brought along to show us… Woman’s Weekly reader Ann Rochell from Derbyshire brought along this lovely shawl that she made following a pattern in an old issue of the magazine. We so enjoyed our time at Woman’s Weekly live, we cant wait to do it all again nest time- we hope to see you there! 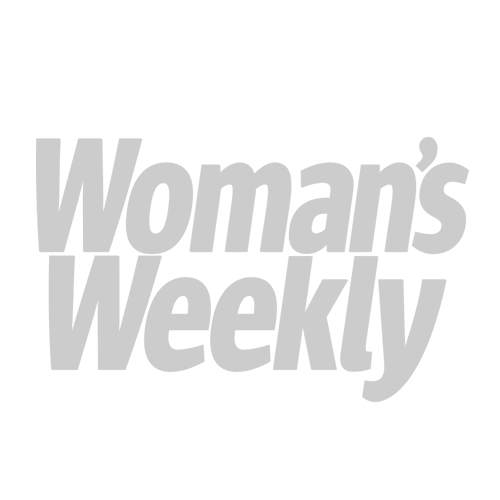 If you can’t wait until our next event, then why not have a scroll through the gallery below to see all of our pictures from 2013.